Antony Adshead is the Storage editor at Computer Weekly. Sapan Agarwal is a senior director at Frost & Sullivan Asia Pacific. He has comprehensive understanding of the global market dynamics and over 15 years of research and consulting experience in diverse industries. Faisal Alani is the lead digital content manager for UK at eBay. Prior to that he was the content editor on ComputerWeekly.com. Rory Alsop is a research director with ISACA Scotland and head of technology and cyber risk at HSBC. Zafar Anjum is a journalist, writer and entrepreneur who lives in Singapore. For eight years, he was the online editor of Computerworld Singapore, Computerworld Malaysia, CIO Asia and MIS Asia. Jonathan Armstrong is a compliance lawyer with Cordery in London. Warwick Ashford is security editor at Computer Weekly. He joined the CW team as chief reporter in June 2007, focusing on IT security, business continuity, IT law and regulation, compliance and governance. He was appointed security editor in May 2012. Gary Audin has more than 40 years of computer, communications and security experience. He has planned, designed, specified, implemented and operated data, LAN and telephone networks. These have included local area, national and international networks as well as VoIP and IP convergent networks in the U.S., Canada, Europe, Australia and Asia. Greig Baker is Chief Executive of The Guide Consultancy, a political intelligence agency in Westminster. Caroline is a former business editor at Computer Weekly, amd was responsible for coverage of IT issues in key business sectors including retail, media and manufacturing, as well as government IT, CIO interviews, IT management topics and technology startups. Mark Ballard is a freelance journalist who writes about computer policy, crime, security, law and systems. 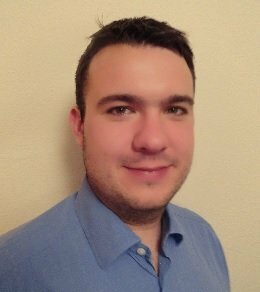 Based in France, Christophe begun his career as an IT project manager before working for several IT publications, including l’Ordinateur Individuel, SVM, MacWorld and InfoPC. He was co-founder of MagIT after writing for 10 years for the paper editions of Monde Informatique and Réseaux & Télécoms. Now, Christophe covers IT infrastructure for Le Mag IT and also heads up the quarterly magazine, Storage. Kayleigh Bateman was the special projects editor for Computer Weekly, until August 2015. She covered IT skills, education, jobs and recruitment in addition to women in technology, managing the WITsend blog for Computer Weekly. She is also the editor of CW Europe. Bruce Beam is the director of infrastructure and security at (ISC)²: He has more than 20 years of experience leading IT/ICT and security teams for large enterprises and the US Navy, and leads all aspects of (ISC)²’s global IT/ICT and cyber security operations. Bryan is a technology enthusiast and industry veteran. He has been analysing, explaining and writing about IT and business for around three decades. Emma Bickerstaffe is a senior research analyst at the Information Security Forum (ISF) and is responsible for delivering reports that provide thought leadership, practical guidance and solutions to information risk challenges. David Bicknell is a former editor at Computer Weekly. Nick Booth is a freelance writer. Danny Bradbury is a freelance journalist specialising in technology, business, and environmental writing. Richard Brain is the technical director at ProCheckUp, a leading independent specialist UK security organisation. Technology expert Pat Brans is author of the book "Master the Moment: Fifty CEOs Teach You the Secrets of Time Management." Matt Brunk is president of Telecomworx, a Washington, D.C.-area interconnect company with which he has been since 1989. Previously, he was chief network engineer for Amtrak, responsible for a $26 million internal voice network and a $10.5 million ACD call center network. Stuart Burns is a virtualization and Linux expert at a Fortune 500 company. Lyndsey Burton is founder and MD of Choose.co.uk a UK price comparison site covering home broadband and mobile. Kevin Cahill is Fellow of the British Computer Society who first joined Computer Weekly in 1979. He had spent the previous 10 years in the industry as a systems analyst and project manager. He later became Paddy Ashdown's researcher in the House of Commons and is now an advisor in the House of Lords. Duncan Campbell is an investigative journalist, author, consultant and television producer specialising in privacy, civil liberties and surveillance issues. His best-known investigations led to major legal clashes with successive British governments. As editorial director of TechTarget's Storage media group, Rich oversees content for Storage magazine, SearchStorage.com, SearchDataBackup.com, SearchDisasterRecovery.com, SearchVirtualStorage.com, SearchCloudStorage.com, SearchSMBStorage.com and the Storage Decisions conferences. 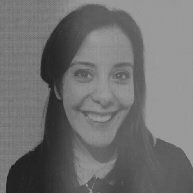 Robina Chatham is a visiting Fellow at Cranfield University School of Management; and a research associate at the Leading Edge Forum. Rohit Chatter is on the Expert Panel of SearchBusinessIntelligence.in. Lindsay Clark has been writing about business technology for over 15 years. Andrew Cross brings an extensive business and technical background to his contributions. He has worked in Executive Management roles at Sol-Tec, Metrologie, Amstrad, Gateway 2000 and Evesham Technology. Julian David is the CEO of TechUK. He was appointed as the director general of Intellect in March 2012 and led its transformation to TechUK in November 2013. 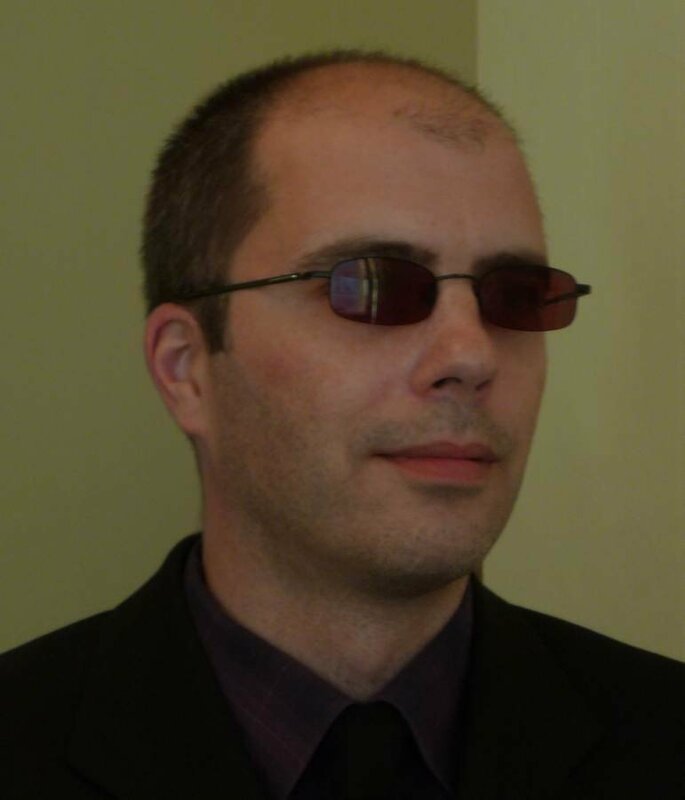 Adrian Davis is the director of cybersecurity advocacy for Europe, Middle East and Africa at (ISC)². He is the "voice of the profession" for (ISC)² in the region. He focuses on three key areas: risk management, public policy and education. Dai Davis advises clients on intellectual property, computer and technology law subjects including such topical matters as e-commerce, IT security and cloud computing issues. Paul DeBeasi is the Research Vice President for enterprise mobility at Gartner. DeBeasi is a well-respected industry leader with more than 25 years of experience in the communication and wireless industries. Caroline Donnelly is a senior editor at Computer Weekly, having joined the site in March 2015. Her beats include datacentre, cloud and virtualisation technologies, and finding out all about the end users deploying them. Pierre Dorion is the Data Center Practice Director and a Senior Consultant with Long View Systems Inc. in Phoenix, AZ. Manek Dubash is a journalist with more than 25 years of experience. Richard joined Freeform Dynamics in April 2017 from Ovum, where he led the firm’s enterprise productivity and collaboration research agenda. Zach Emmanuel is a reporter for Computer Weekly and MicroScope. Investigate Europe is a pan-European research project run by nine journalists from eight European countries. Chris Evans has worked in the IT industry for more than 25 years. After receiving a BSc (Hons) in computational science and mathematics from the University of Leeds, England, his early IT career started in the mainframe arena and continued to storage and systems programming paths. Steve Evans is a freelance journalist based in Madrid, specialising in technology and how it impacts businesses. His previous roles include web editor at Computer Business Review (CBR) and before that staff writer at a magazine that wrote about and sold collectable items. Lis Evenstad is the management editor at Computer Weekly, and joined the site in August 2015. Her beats include public sector and CIOs, and she has a particular interest in healthcare IT. Cath Everett has been a journalist and editor for around 25 years. She specialises in employment and workplace issues and writes about the impact of technology on society. 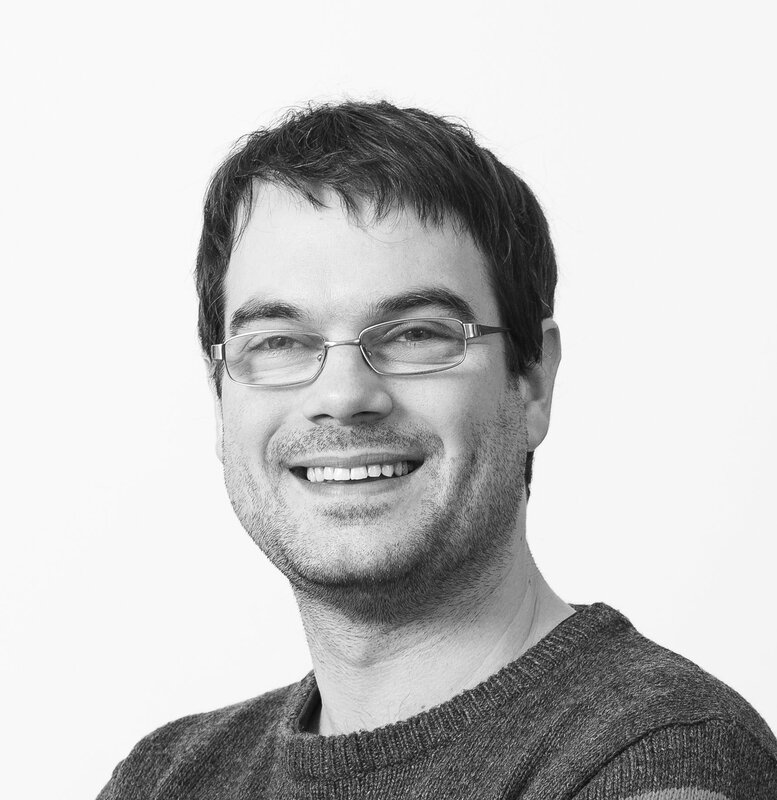 Andy Favell is a London-based freelance journalist, web editor and mobile/digital consultant. He has 18 years' experience in business and technology journalism and web publishing. As a journalist has contributed articles on mobile, internet, IT, retail, charity and corporate social responsibility (CSR) to numerous national, online and trade publications. Nicholas Fearn is a freelance technology journalist from the Welsh valleys. Nicholas Fearn is a freelance technology journalist from the Welsh valleys. He has written for a plethora of respected media sources, including The Next Web, Techradar, Gizmodo, Engadget, Lifehacker, TrustedReviews, Alphr, TechWeekEurope and Mail Online. He edits Wales’s leading tech publication Tech Dragons. 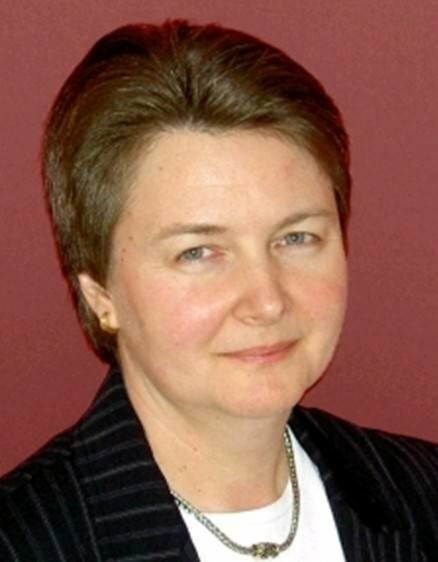 Amanda Finch has specialised in information security management since 1991. 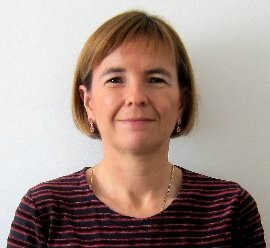 In addition to her role as general manager of the Institute of Information Security Professionals (IISP), she works with the Information Security Forum (ISF) and the British Computer Society (BCS) to gain recognition for the discipline as a recognised profession. Allaster Finke has more than 12 years of experience in the design and deployment of complex storage networks, backup, high availability and disaster recovery solutions, including positions at KPMG, EMC Consulting, GlassHouse Technologies and Unisys. Susan Fogarty is the editorial director for TechTarget's Enterprise Software and Services Group. Stephen Foskett is an active participant in the world of enterprise information technology. Paddy Francis is the CTO for Airbus CyberSecurity, responsible for coordinating and planning R&T and R&D, and also for developing the technology strategy for cyber security across the three centres in the UK, France and Germany. Colleen has been a regular contributor to SearchMicroservices.com and SearchSoftwareQuality.com as well as other TechTarget websites for some time now. Before this, she was an editor on Software Magazine and ESD Magazine before that. Frye has a breadth of experience writing about topics that range from SOA governance to infrastructure, from open source architecture tools to application integration. Ramsés Gallego is a past international vice-president for Isaca’s board of directors and has served for three years in Isaca’s CISM and CGEIT certification committees and also in the Guidance & Practices Committee. James Garner is a freelance writer and also owner of the Godwick Great Barn and Hodwick Hall. Kate Gerwig is the editorial director for TechTarget's Networking media group. Bryan is editor in chief of Computer Weekly, responsible for managing and developing the team producing all Computer Weekly editorial content. Jack E. Gold is founder and principal analyst at J.Gold Associates LLC. Bill Goodwin is Computer Weekly's premium content editor. He is an award-winning journalist, who has written for national newspapers, magazines and has worked as a researcher on investigative television documentaries. Mathieu Gorge is the CEO and founder of VigiTrust, which provides consultancy services in the legal aspects of corporate security. London Borough of Tower Hamlets. Jacob Gsoedl is a freelance writer focusing on data storage and a vice president of IT applications with extensive experience with IT infrastructure and business applications. Sudhanshu has over 10 years of extensive networking experience and is CCIE and MCSE certified. Eeva Haaramo is a Finnish freelance journalist covering technology, startups and wellness for various publications in the UK and Finland. She writes about IT industry trends, entrepreneurs and innovation in the Nordic region, and has a passion for fitness tech. Ed Hardy is the site editor for TabletPCReview.com. Andy is an established software industry authority, an independent strategy consultant advising corporations, venture capital firms and software companies. Jay G. Heiser writes the bi-monthly Layer 8 column for Information Security magazine. Simens Global Director Data Center Solutions and Services Carrie Goetz can answer your fundamental unified communications and collaboration (UCC) questions. Maxine Holt is research director at Ovum. She leads Ovum’s security business, developing a comprehensive research program in this area to support supplier, service provider and enterprise clients. Having worked with enterprises across multiple industries in the world of information security, Maxine has a strong understanding of the challenges faced and how organisations can look to overcome these challenges. Lindi Horton is senior product manager at ServiceMesh and has more than 10 years of networking experience. Gamil Jassin is a Journalism Masters degree student at City University of London. Vladimir is the founder & CEO of Foresight Cyber, a specialised cyber security consultancy and services company focused on business resilience. Shailesh Joshi is on the Editorial Advisory Panel of SearchDataCenter.in. Randy Kerns is a senior strategist and analyst at Evaluator Group. Zeus Kerravala is the founder and principal analyst with ZK Research. Kerravala provides a mix of tactical and long-term strategic advice to constituents, including end-user IT and network managers; vendors of IT hardware, software and services; and the IT investment community. Prior to ZK Research, Kerravala was a senior vice president and distinguished research fellow with Yankee Group. Sebastian Klovig Skelton is a reporter at Computer Weekly. He joined the site in October 2018 to cover tech startups. Prior to this, he studied history at Queen Mary University and completed an MA in investigative journalism at City University. Avanti Kumar has over 25 years of experience in strategy consulting, writing and project management in various sectors, which include ICT, media and public relations, airlines, energy, human capital and business planning. David Lacey is an IT security consultant and blogs for ComputerWeekly.com. Nicole Laskowski is a news director for TechTarget. Michelle Laverick is a former VMware Certified Instructor with more than 23 years of IT experience. Rachel Lebeaux is the senior managing editor for SearchCIO.com and SearchCompliance.com. Mark Lewis is the former editorial events director at SearchStorage.com. Tony Lock is an IT operations guru. As an ex-IT manager with an insatiable thirst for knowledge, his extensive vendor briefing agenda makes him one of the most well informed analysts in the industry. Hamish Macarthur is the founder of Macarthur Stroud International, a company that provides consultancy and research services on the IT and telecommunication markets. Angelica Mari is a Brazil-based journalist and entrepreneur. Craig J. Mathias is a principal analyst with Farpoint Group and specializes in mobile, wireless and unified communication (UC) technologies. SA Mathieson is a freelance analyst and journalist focused on healthcare, government and IT. David McClelland is a lapsed IT professional turned technology journalist. He writes for print and online titles including The Metro, TechRadar, Computer Weekly and International Business Times UK, and is a resident consumer champion with BBC Rip Off Britain, a regular on ITV Good Morning Britain and BBC News Channel, and reports on cyber crime and online safety for BBC Watchdog. Brian covers information management and enterprise software. He is a former editor of Computer Weekly magazine. He has a degree in History and English from the University of Glasgow and a doctorate from the University of Oxford. Raef Meeuwisse is an Isaca governance expert and director of Cyber Simplicity. He has recently finished an Isaca paper on the Governance of enterprise information technology for healthcare and is also known for his independent books, including Cybersecurity for beginners. Chris Mellor is storage editor at The Register. Rene Millman is a freelance writer and broadcaster who covers mobile technology, cloud and infrastructure. Anne Morris is a freelance journalist, editor and translator. She has been working in the telecommunications sector since 1996, when she joined the London-based team of CommunicationsWeek International as copy editor. Jim Mortleman is an experienced freelance technology writer, who has been covering IT and business issues for 20 years. David Moschella is the research director for CSC’s Leading Edge Forum. Bill Murray, based in the UK, is a senior researcher and advisor for Leading Edge Forum. Sanil Nadkarni is an assistant manager, information security and BCP at Capita India Pvt., with 8 years of experience in infosec risk management. 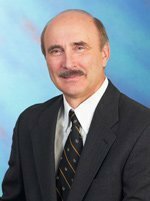 Tom Nolle is the president of CIMI Corporation, a strategic consulting firm specializing in telecommunications and data communications. Learn more about Tom Nolle. Neil O'Connor has over twenty years of experience in information security. Tessa Parmenter is a former site editor for TechTarget websites SearchUnifiedCommunications.com and SearchEnterpriseWAN.com. Chris Partsenidis is the founder and editor in chief of www.Firewall.cx -- one of the few websites recommended by Cisco Systems. Krzysztof Polak - journalist and editor in Poland, Warsaw. First steps in professional journalism did in 1998. Since that time experienced successively dot-com bubble, enthusiasm of business applications deployment, search for IT efficiency in times of global financial crisis, development of cloud, mobility and big data revolution. Is still amazed at rapid development of ICT and its contribution to life of companies and people. Karthik R is a quality assurance engineer at Amazon and has a diploma in B.Tech in Information Technology, from the National Institute of Technology, Surathkal. Karthik can be contacted on rkarthik.poojary@gmail.com. Tena Prelec is an author and a researcher working at the University of Sussex and the London School of Economics and Political Science. Ryan is a sub-editor at Computer Weekly and writer for the Downtime blog. Simon Quicke is the editor of MicroScope. As editorial news director of the IT Infrastructure and Strategy Group, Dave Raffo leads TechTarget’s coverage of storage, data protection and hyper-convergence. Marcus J. Ranum is a world-renowned expert on security system design and implementation. Ted Ritter is a senior account executive with Nemertes Research. Simon is a Vice President at 451 Research. Narendra S Sahoo (CISA, CRISC, CISSP, ISO 27001 LA) is the director of Vista InfoSec. Cliff Saran is the managing editor (technology) on Computer Weekly magazine responsible for commissioning, writing and overseeing the magazine strategy concerning all matters relating to technology from up-and-coming research and development to systems management challenges and legacy support and maintenance. Antony Savvas is a features writer for Computer Weekly. Greg Schulz is founder and senior analyst with the IT infrastructure analyst and consulting firm StorageIO. Yann Serra covers servers, networks and virtualisation for LeMagIT. Sooraj is a freelance technology journalist who regularly speaks to IT decision makers about how they’re bringing their organisations forward using technology, with a particular focus on cloud, DevOps and IoT. Rob Shapland is an ethical hacker specializing in cloud security, social engineering and delivering cybersecurity training to companies worldwide. Ben Sillitoe is a freelance editor and journalist, with extensive experience covering the general retail and retail technology sectors. Jenny is a Swedish journalist, specialising in IT. 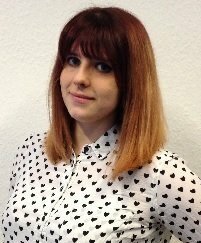 She has been a staff writer at publications such as Computer Sweden and Market, and is now freelancing for Computer Weekly, TechWorld, Internetworld, CIO Sweden and other outlets in Sweden and the English speaking world. Jason is extremely well-connected and respected within the CIO community. As a highly influential editor and journalist earlier in his career, he continuously tapped into the views and experiences of IT leaders in both large enterprises and SMEs. Aaron is a seasoned media and information professional with over a decade of experience in journalism and information management at leading media companies and government organisations. Greg Temm is chief information risk officer for the Financial Services – Information Sharing and Analysis Center (FS-ISAC). Temm is responsible for the overall global intelligence and risk management program of FS-ISAC and serves as a trusted security advisor in sales, marketing and member engagement for the company around the globe. Ed Tucker is the co-founder of Human Firewall, an operationalised security awareness platform that enables a single employee to protect the whole organisation. 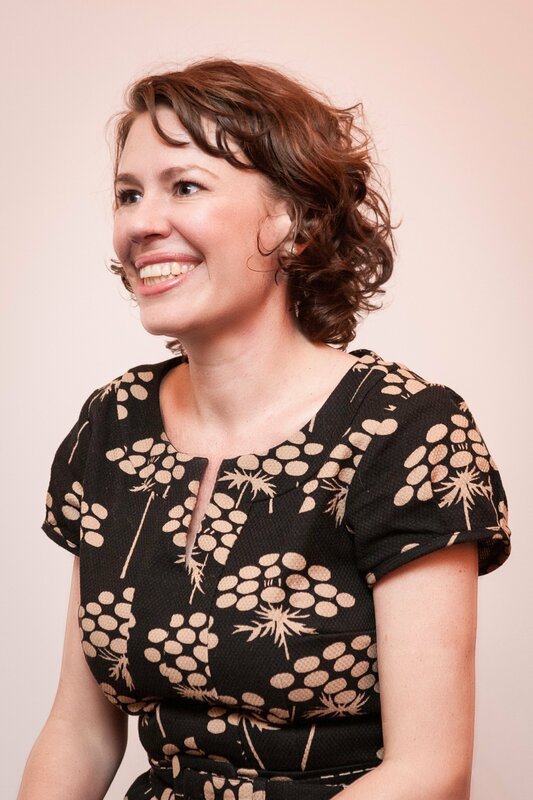 Jessica Twentyman is a journalist with a 20-year track record as both a writer and editor on national newspapers and IT trade titles. Archana Venkatraman is the former Datacentre Editor for Computer Weekly. Dale is a co-founder of Freeform Dynamics, and runs the company. As part of this, he oversees the organisation’s industry coverage and research agenda, which tracks technology trends and developments, along with IT-related buying behaviour. Steven Weil, CISSP, CISA, CISM, CRISC is Information Security Director & Cybersecurity Principal Consultant for Point B.
Peter Wenham is a member of the BCS Security Community of Expertise and director of information assurance consultancy Trusted Management. Mark Whitehorn is the Emeritus Professor of Analytics at the University of Dundee. He specializes in the areas of analytics, business intelligence (BI) and data science (DS). He has a background in both the academic and commercial worlds. Lauren Whitehouse is a 25+ year technology industry veteran with a mix of engineering, product management and marketing communications experience. Davey Winder is an award winning journalist who has been using, and writing about, emerging technologies for 20 years. Tim Worstall has produced computer games, wholesaled rare metals and earths out of Russia, worked with an arms dealer and now runs a Central European programming house, writes and is a Senior Fellow at the Adam Smith Institute, finding that life is usefully less exciting that way. Edwin Yapp runs his own editorial consultancy and advises clients on a range of editorial and communications issues. He has worked as a freelance freelance journalist for several publications, and is now contributing to Computer Weekly and Digital News Asia. As director of cyber security advocacy for (ISC)2 in Emea, Mary-Jo de Leeuw works to encourage corporations, governments, academic institutions and others to collaborate on strong cyber security policies, legislation and education. Sander van Vugt is an independent Linux trainer and consultant based in the Netherlands, as well as the author of more than 50 books.